Remington Arms Company celebrated its 200th year in business in 2016. The Remington enterprise was founded in 1816 by Eliphalet Remington in Ilion, New York, as E. Remington and Sons. Remington is America’s oldest gun maker and is still the largest U.S. producer of shotguns and rifles. CLICK HERE for 200 facts about the 200-year-old company. This week, Shooting USA TV spotlights Remington, exploring the company’s 200 years of continuous production. The show covers the rich history of Remington Arms Company, and focuses on many of the company’s most noted firearms. Eliphalet Remington II grew up in the countryside of Herkimer County, New York, learning the blacksmith trade. Eliphalet told his father he wanted a gun, so his father told him to build one himself. And, so he did in 1816 with the help of a hired gunsmith to bore and rifle his barrel. Eliphalet then took the finished flintlock to a local shooting match. By 1828, Eliphalet moved into a factory in Illion, New York. In 1845, he jumped at the opportunity to buy the first of many government contracts. When the Civil War broke out, Remington stayed busy producing firearms. While later in the 1890s during peacetime, Remington manufactured cash registers, sewing machines, knives and even the first successful typewriter. The storied history continues, from the Remington Double Derringer to the Remington Model 700, unquestionably the most successful American sporting rifle. 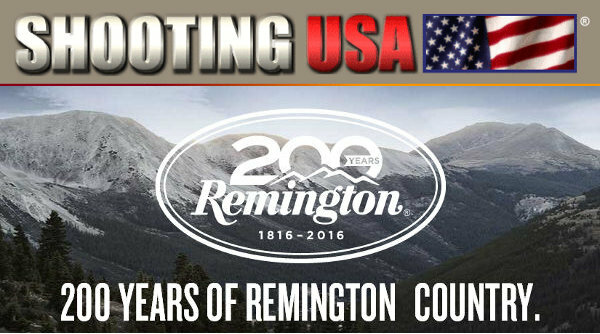 Share the post "Remington Arms Featured on Shooting USA TV This Week"